Photo: Andy Thornley/ The Londonist. Newham Save Our NHS is a group of Newham residents campaigning to protect our National Health Service from increasing privatisation. Our Organising Meeting gets together every month and we welcome all Newham residents in our campaign. Our next meeting will be on Sunday 12th May 2019 - 10.30 to 12 at the Black Lion Pub, 59-61 High Street, Plaistow, E13 0AD. Telephone number 0208 472 2351. Parking and coffee available at the kind hospitality of the proprieter. If you would like to contact our group about our activities, please email us on: newsonhs@gmail.com. We will do our best to respond as quickly as possible. Great meeting of our Organising Committee this Sunday 14th April. Our next meeting will include our annual AGM on Sunday 12th May 10.30 to 12. Newham Residents are very welcome. It will take place at the Black Lion Pub 59 - 61 High Street Plastow, E13. Image shows Protestors marching on Whitechapel Road from the East London Mosque. Picture: Luke Acton. Well done to health camapaigners from North-East London in their on-going campaign gainst the Hostile Environment at Barts NHS Trust. A protest walk went on Friday 22nd March 2019 from outside the mosque on Whitechapel Road to the Royal London Hospital, Whitechapel. Staffing problems with mid wives as reported in the recent CQC report of Newham Hospital Maternity, which said that Midwives lost out on breaks and did not finish their shifts on time. The 'Hostile Environment' for pregnancy and maternity patients at Newham Hospital maternity dept. We were delighted to be joined by Lynn Brown, MP for West Ham at our Organising Group meeting in March. Lynn was very supportive of our campaign against the encouragment of a 'Hostile Environment' asking Barts NHS Trust to stand up for local communities and say NO to migrant charges and the 'hostile environment' in our NHS. Lynn will return to our group meeting in the future and report back on her findings. It would be great if as many people as possible can go along to the Short protest walk to the Royal London Hospital, Barts NHS Trust, Whitechapel, leaving at 1.15 pm on Friday 22nd March from Whitechapel Road, alongside the Mosque. 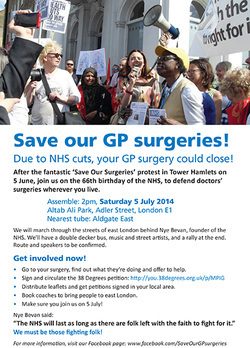 ​This event is organised by North-East London save our NHS, including Newham Save Our NHS. Attend the BARTS Trust Board Meeting, Mile End Hospital on the 6th March 11am alongside our Organising Committee to raise awareness of a number of issues including the sale of NHS land, the hostile environment policy and much more. Please get in touch by using the contact page on this website if you'd like to know more. Attend the Inner North East London Scrutiny Committee on Feb 13th 7pm and March 20th 7pm. Old Town Hall, Stratford. For more details please contact the group via the contact form on this website. We are a small group and so do not have the resources to get back immediately, but we will endevour to get back as soon as possible. 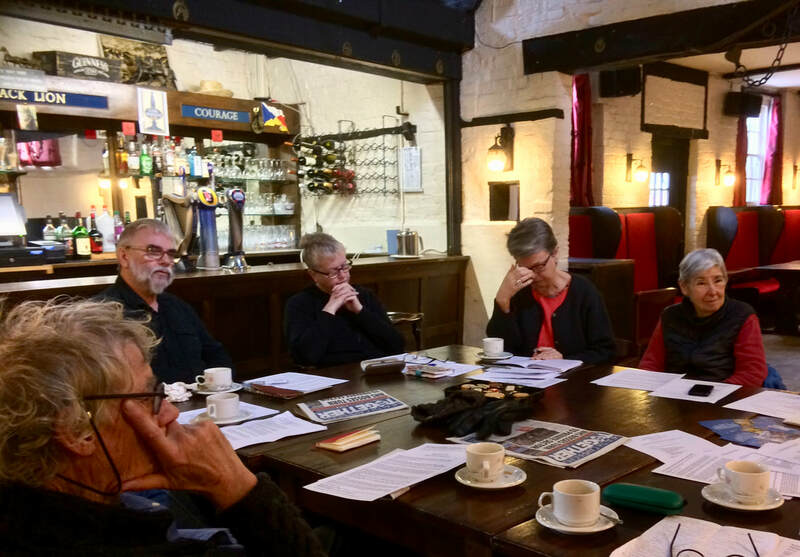 The first meeting of our group Organising Committee on 13th January was really well attended with 11 people joining us to discuss our campaign against the sell off of NHS land and the ID checks and charging of migrants for health services. The group will be very busy this year with various campaigns and working with other SaveOurNHS groups across the country. 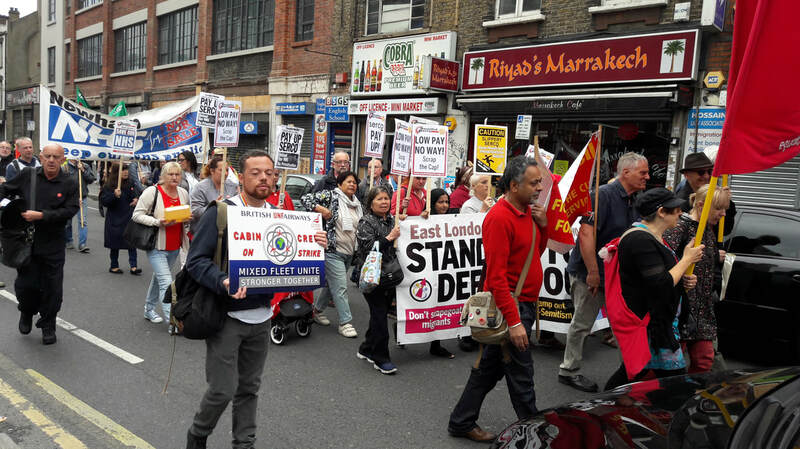 On Saturday 17th November, members of our Group joined others from across Newham to the march in London for National Unity Demonstration Against Fascism and Racism. 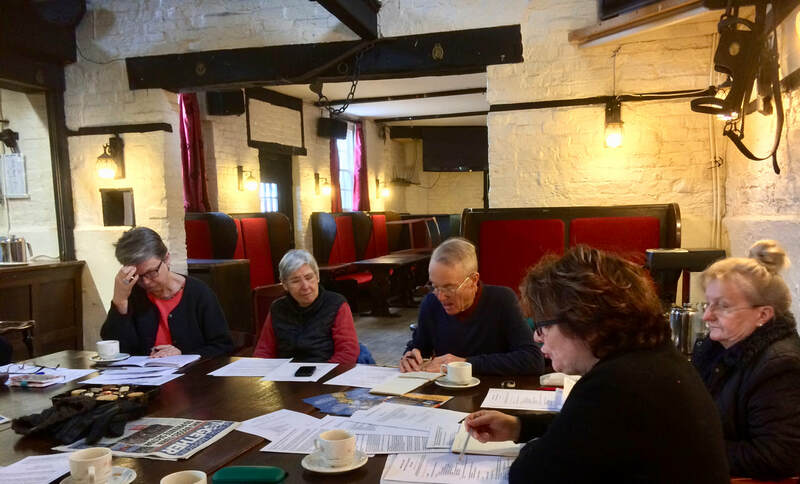 Another very good meeting of our Organising Committee on Sunday 4th November. We discussed the campaign against the 'Hostile Environment' being introduced into the NHS and resulting in Barts NHS Trust sending up to 100 patients' details each week to the Home Office. Patients are confused about who gets free NHS care and some patients do not attend out of fear of being reported to the Home Office. We also discussed a number of other issues around the reconfiguration of East London Healthcare Partnerships, the Accountable Care Organisation, and the future of CCGs. 23rd October 2018 saw an excellent leafleting session at Newham Hospital. Campaigners from Newham Save our NHS leafletted staff with information about the Hostile Environment in Barts NHS Trust. Simultaneously, campaigners were outside two other Barts Trust hospitals at Whipps Cross and The Royal London Hospital in Whitechapel. The message was the same: Staff are not border guards or passport checkers. 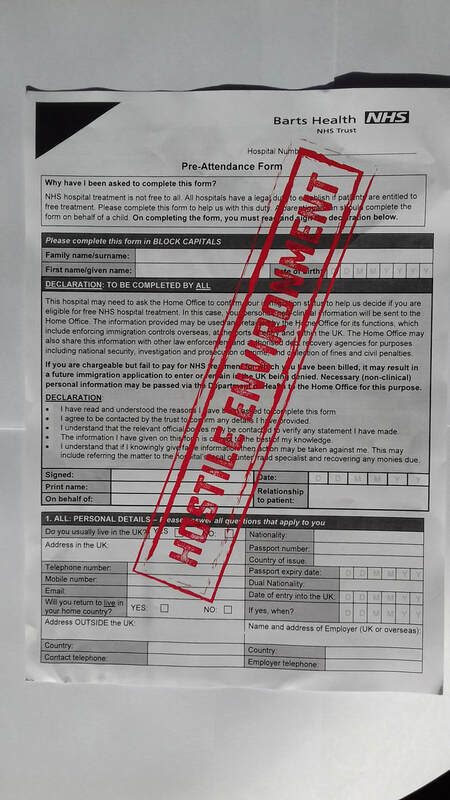 Health professionals are being compromised by the Trust's participation in The Home Office's Hostile Environment. This results in Barts NHS Trust sending up to 100 patients' details each week to the Home Office. Patients are confused about who gets free NHS care and some patients do not attend out of fear of being reported to the Home Office. What is the MINOR AILMENTS SCHEME (MAS) all about? 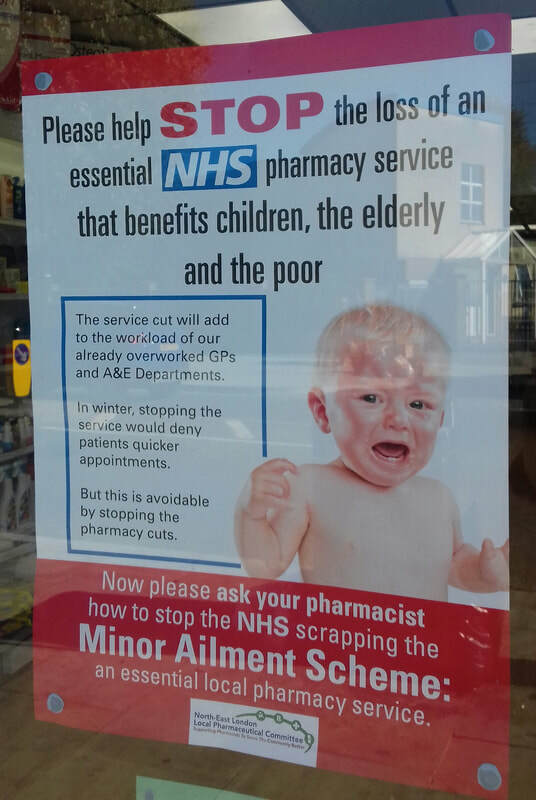 Community pharmacists are campaigning to keep this service. They want your support. It was threatened to end in September 2018. Thanks to campaigners, the scrapping of the scheme is now delayed till March 2019. These photos are from community pharmacies in Newham. Go in to your community pharmacy and ask to support their campaign to keep the MAS. How does MAS work now? At present community pharmacists offer patients entitled to free prescriptions a walk-in service - no appointment required - for advice and, if necessary, free medicines for a restricted list of minor ailments. This is great eg for children and pensioners, who might otherwise have to try and get a GP appointment. It takes the pressure off GP services - which we all know are already stretched. What is the NHS plan for the future? The NHS in London wants to stop community pharmacists in Newham offering the Minor Ailments Scheme (M.A.S.) This threatens to cut a NHS service designed especially for the poorest people in our community - people on benefits, who are entitled to free prescriptions. This includes children and pensioners. Why must MAS be kept? People on benefits can not afford to buy over-the-counter medicines for their children. So as well as being a NHS service that is local, simple and effective, this pharmacy service is vital to patients, young and old. We are inviting all of our members to help leaflet Newham hospital staff on Tuesday 23rd October 7.45am - 8.45am to highlight the Barts Trust Hostile Environment policy that targets patients who Barts think should pay for treatment. Barts Trust says it sends names of up to 100 patients a week to the Home Office to be checked. The date: October 23rd marks the one year anniversary of the introduction of upfront charging in the NHS. It was on Oct 23rd 2017 that the DoH implemented the regulations requiring all NHS Trusts to identify patients who were not eligible for free NHS care and to charge those people up-front ie, before providing treatment. As predicted this has caused untold damage to people from all areas of society, from the well kown Windrush scandal, to the many invisible and unheard people, migrants and non- migrants alike, who have been deterred from accessing the care that they need. A joint campaign: Both Newham and Waltham Forest health campaigners will leaflet their local hospitals in the morning of the 23rd October and encourage health workers to sign up to a letter, this time from Barts staff - calling for the scrapping of the Barts Hostile Environment Policy. Meet at Newham Hospital outside the main corridor ( corridor entrance nearest to Prince Regent Lane.) Bring tabards please. "At the Barts Trust AGM at Mile End Hospital on 12th September 2018, health campaigners offered Barts Trust Board Members copies of the horrible 'Barts NHS Pre-Attendance Form,' (see photos) which fishes for individual patient's data and threatens patients with being reported to the Home Office, and with being denied free treatment. Shockingly, Barts Trust admits to sending up to 100 patients' names each week to the Home Office." Following the very successful demonstration outside BartsTrust AGM on 12th Sept at Mile End Hospital, the North-East London Health Campaigns attended the Barts AGM. We jointly presented to the Barts Trust Board our open letter about the Hostile Environmnet inside Barts Trust. 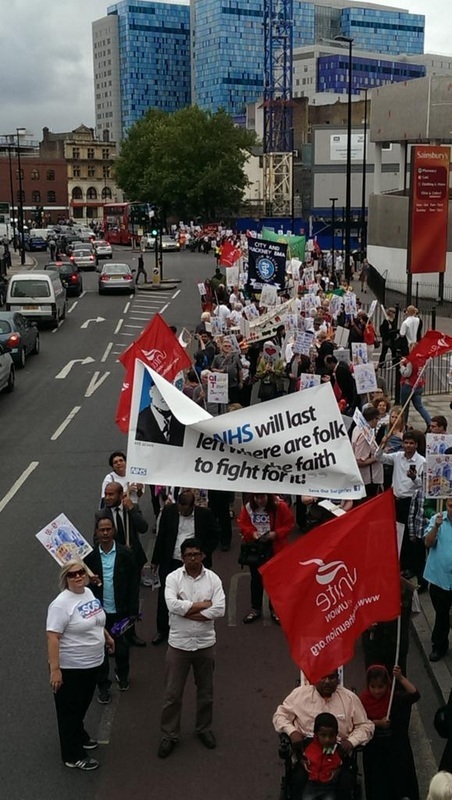 Newham Save our NHS was well-represented with people, posters, banners and attendees. The open letter with 600 names of both individuals and 50 (local) organisations in the north east London Area, was presented by Terry Day of Waltham Forest Save our NHS. Terry made a great speech to the Board and the public at the public AGM. Then a Q and A session followed, which was dominated by questions from the public about the Hostle Environment, which Barts NHS Trust have been pursuing since 2017. At the AGM we also offered Barts Trust Board Members copies of the horrible 'Barts NHS Pre-Attendance Forms,' which fishes for patient's data and threatens patients with being reported to the Home Office, and with being denied free treatment. Shockingly, Barts Trust admits to sending up to 100 patients' names each week to the Home Office. The Home Office then says to some patients that free NHS treatment is denied. This misguided Hostile Environment policy is dangerous for both individuals and public health. Stop asking patients to prove their immigration status. Suspend up-front charging (ie charging before treatment) and evaluate the impact of charging on our community. Stop collaborating with the Government's "Hostile Environment." Thanks to everyone for what has been a great ( and continuing! ) campaign. 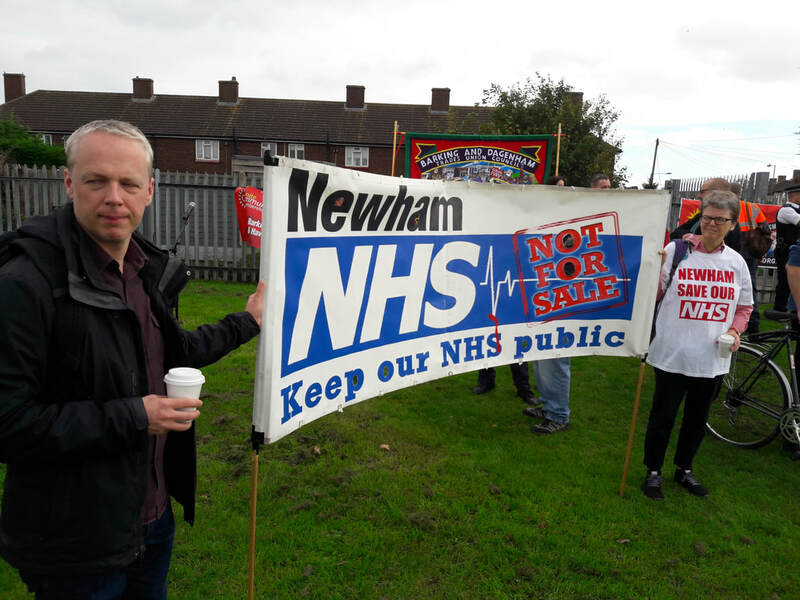 After several years as Chair of Newham Save our NHS I have had to resign due to health problems of my own. Imhope to continue as a member and contribute where I can. Needless to say chairing this group has been productive and a pleasure. Members have worked hard attending Board Meetings to ask questions of Barts Health and the CCG and informing Newham people in various ways of the secret plans that have been drawn up to reduce the service and sometimes the quality of what our local NHS is able to provide. This is of course because of the under-funding of the NHS nationally and other deliberate government policies to blame staff for problems at the same time as holding down their wages below inflation. The government also blames patients for being too demanding to using the NHS when they are not entitled to. A &quot;Hostile environment&quot; has been created especially at Newham Hospital which ha has been exposed in the Newham Recorder. We are opposing this policy along with campaigns in Tower Hamlets, Hackney, Waltham Forest and Redbridge. We know that NHS staff do all they can to make scarce resources stretch to make services safe and of high quality. We know that managers are under pressure to provide more health care for a growing and ageing population. No manager I have ever met comes to work because they want to cut services. They do it because they have to and are closely monitored to make sure they produce &quot;efficiency savings&quot; their warm words for cuts. supported me personally. Newham Save our NHS has great spirit and energy and will continue to fight for the NHS as long as our campaigning is needed. Tuesday Sept 11th 7;30 Chris Williamson MP speaking at Durning Hall. Please join Newham Save our NHS, other residents, patients and campaigners from North-East London outside the Annual General Meeting of Barts Trust Board on Wednesday 12 September 2018 to hand in the open letter mentioned below, to Barts Board asking them to stop requesting patients prove their immigration status prior to receiving care! 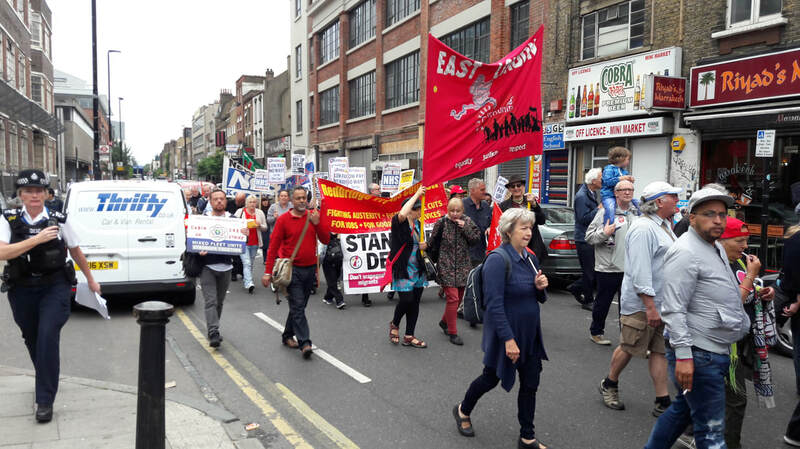 Members of our group and other North East London Save our NHS groups will meet at 5.15pm outside Mile End Hospital at the main entrance in Bancroft Road, London E1 4DG . Nearest Tubes: Stepney Green (District line) and Mile End ( Central Line and District line). The AGM is in Room 5a, Education Centre, Mile End Hospital at 6pm. The open letter (above) will be handed over To Barts NHS Trust at this AGM. Our group congratulated our member Rosamund Mykura for her fabulous work on this campaign to stop Barts Health Board asking patients for immigration status in order to use services. Please sign the letter below by 11th September so that members of the group can take the petition to the next Barts Board Annual General Meeting on the 12th September. Ros gave an interview to the Newham Recorder and her article appears here. Our NHS was founded on the principle that it should be a universal service, available to all, free at the point of use, and funded by general taxation. Based on the principles of social solidarity and pooled risk, it is the cornerstone of shared political and ethical life in Britain.In recent years, however, this universal eligibility has been challenged by a dangerous and misguided Government scheme to charge ‘overseas visitors’ to Britain. This scheme has denied healthcare to thousands of people living in the UK, British citizens and migrant families alike - both through the introduction of a ‘health surcharge’ on visa applications and more recently the introduction of upfront charging and ID checking across the NHS. As communities served by Bart’s Health Trust, we are shocked by the impact of this policy on the lives of local residents and the shared values of our NHS. There are already too many cases in Bart’s Health Trust of vulnerable migrants being charged for care, of sick people being mistakenly denied access to free care, and of our friends, family and neighbours being fearful of approaching their doctor in case the information they provide is used to detain or deport them. Bart’s Health has a responsibility to promote health and equality in the communities it serves, to work to end health inequality, and to provide a welcoming space for all who need it. These “Hostile Environment” policies directly contravene the Trust’s own laudable commitment to being welcoming, equitable, respectful and collaborative. We need to have trust in our NHS Trust. We need Bart’s Trust to stand up for the rights of all who access its services. 1. Stop asking patients to prove their immigration status. a. Immediately cease the requirement that all maternity patients at Newham and renal patients at the Royal London provide two forms of ID prior to receiving treatment. b. Stop using the current ‘pre-attendance form’ that threateningly asks for unnecessary immigration related information and requires that patients consent to the sharing of that data with the Home Office. a. Immediately suspend the practice of charging patients upfront for treatment. It has devastating consequences for the many people who are forced to make the choice between destitution and good health. b. Conduct a thorough evaluation of the impact of charging for NHS services on people’s willingness to seek treatment, on equality, and on public health. a. Remove all posters and display boards threatening people with charges for their care. They are designed to install fear and deter people from accessing services. b. Promote a welcoming environment in the Trust with posters reassuring patients their immigration status will not be challenged when seeking healthcare in Bart’s Trust. c. Work with community, faith and voluntary sector organisations to ensure that Bart’s Health NHS Trust is a welcoming environment for all who need to access healthcare. 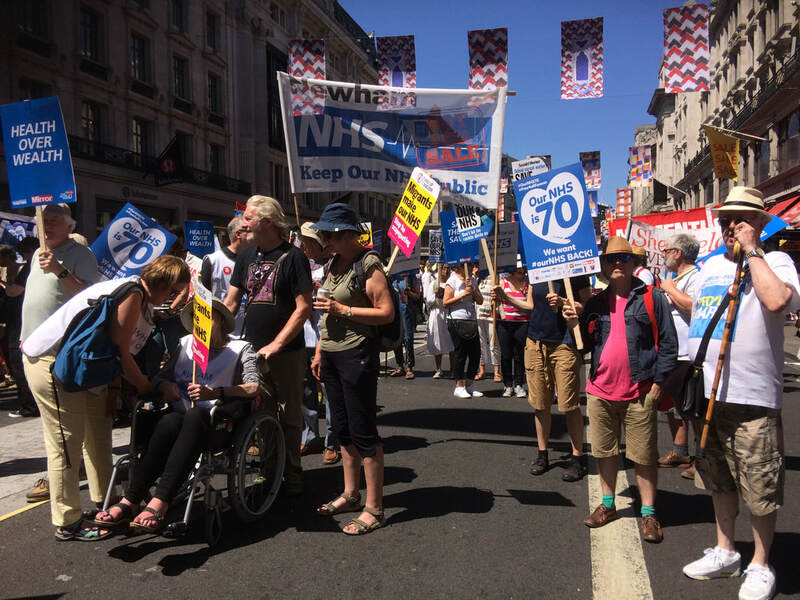 On Saturday 30th June, members of our group joined thousands of people from all over the country, coming together to celebrate the 70th year of the founding of the NHS. In glorious sunshine we marched from Portland Place to Downing Street and let it be known that our NHS is here to stay! 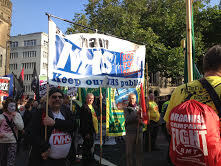 Members of our group will be meeting up on Saturday 30th June to join the NHS at 70 Demo/celebration! We will meet at Stratford Station at 10.15 to leaflet before taking the train to join the procession starting at Portland Place, W1A. For all our website friends who follow us do feel free to join our group and come along to help celebrate our NHS is still going strong after 70 years! March to Downing Street, Whitehall. If you would like to join us please watch this space or contact us at newsonhs@gmail.com. 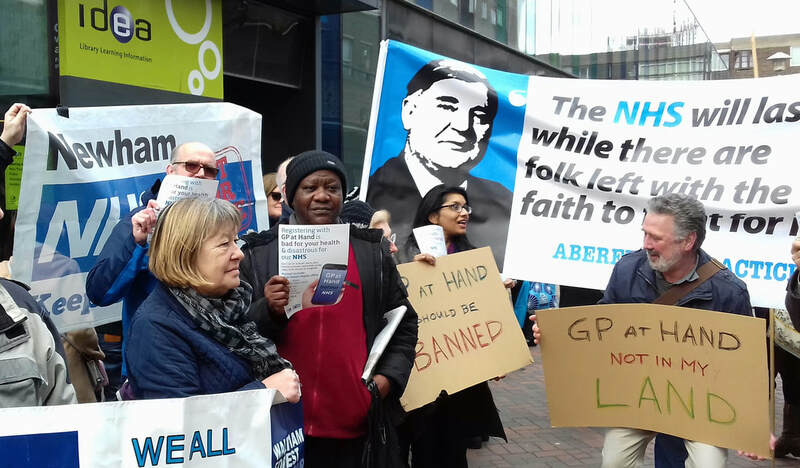 A few members of our group (see images below) joined other campaigns and practice staff at Chrisp Street on Thursday to demonstrate against GP at Hand, a scheme which results in moving money from local GP practices. Hundreds of young healthy Londoners are signing up to this scheme which means they can access a GP smart phone service. They are being de-registered from their GP practice, which is consequently left with older, chronically ill patients. It could ultimately undermine the NHS. 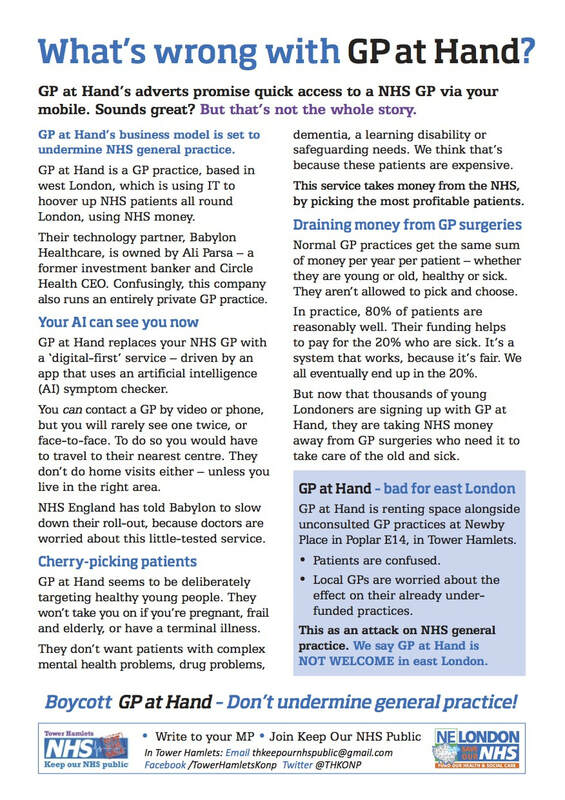 See the link here to the Evening Standard account https://www.standard.co.uk/news/health/doctors-protest-nhs-smartphone-video-appointment-service-a3802401.html . More information is attached in the leaflet below. It was a very good turnout on Sunday 4th March for our Organising Committee meeting with 14 people joining in after the snow conditions following in the wake of the 'Beast from the East'! We were joined by guest speaker Paul Atkinson, who informed us about the situation affecting people with mental health issues around the work for welfare rules. Other members of the group reported back on the meetings they have attended at BARTS Board, Healthwatch and our stand at the Stand up to Racism on Friday 2nd March. If you would like to know more about our work, please contact us at newsonhs@gmail.com. 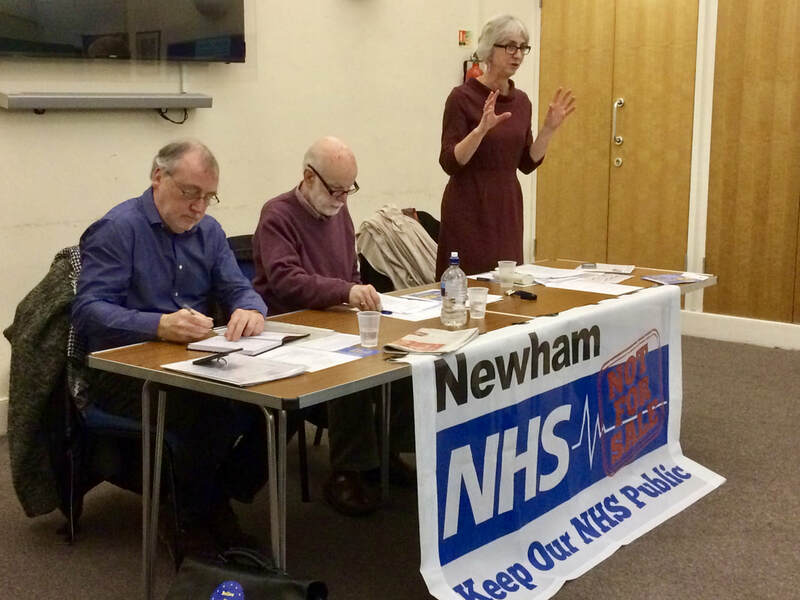 The Newham Save Our NHS AGM took place on Monday 19th February 2018, at St Johns Church in the centre of Stratford. Over 30 people attended with many new faces joining us to ask questions and find out more about the campaign. 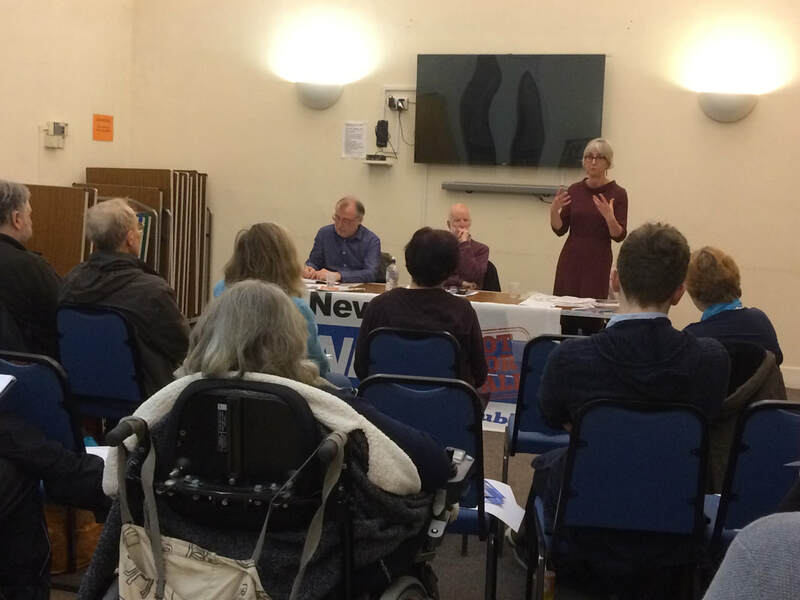 We were delighted to hear from guest speaker Dr Jackie Applebee, NHS, Unite and BMA Activist who gave a comprehensive overview of how the NHS has arrived in the situation it is in today and gave an insight into what the future might hold for the NHS. 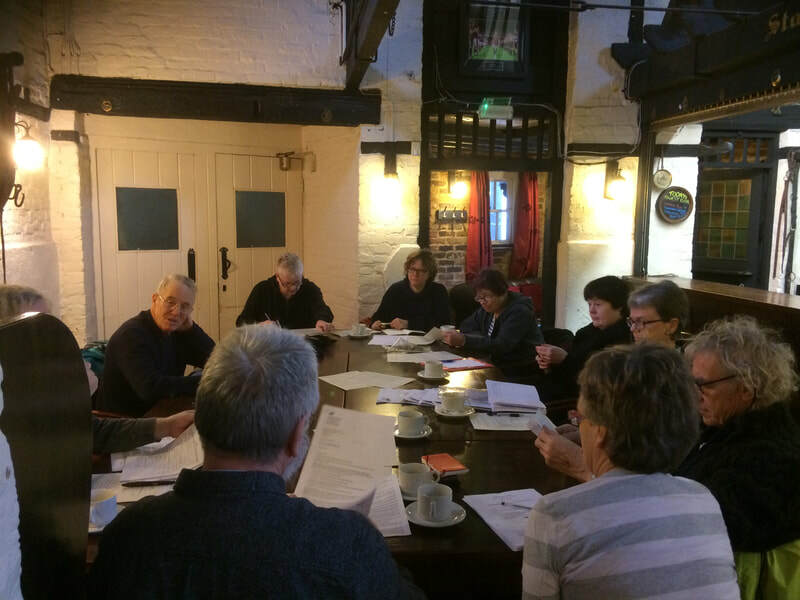 We had another very productive group meeting on Sunday 14th Jan with 10 members attending despite the cold January day. 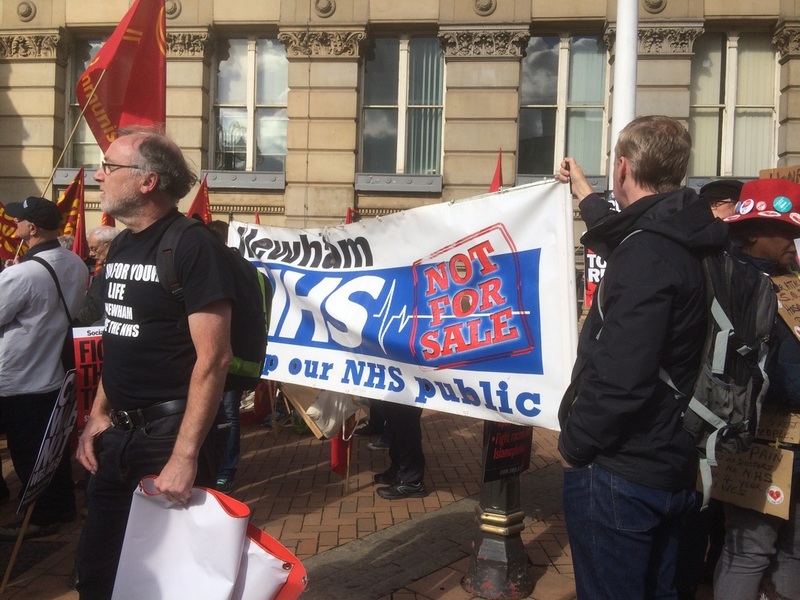 SaveOurNHS group in Newham will be in full force at the NHS Day of Protest on Saturday 3rd February. Details of the day are provided on the poster (pictured). "NHS hospital treatment is not free for everyone"
​Why have these posters ? Q. At a time when the NHS is underfunded by the government, why does it ask hospital staff to check people's immigration status? A. Is it a way to blame others, instead of looking at the government record of underfunding the health service? In fact, migrants pay taxes and contribute to the NHS. Many migrants also work hard as NHS employees in a whole range of jobs, and also in poorly paid social care jobs. 1. When immigration enforcement is put into the NHS people get scared and do not know what bits the NHS they are entitled to. 2. When sick people are scared of going to the doctor, their health gets worse. 3. The NHS end up treating more in A & E and it ends up costing the NHS more. 5. All and any patients could fear the NHS if they had to show ID. 6. Imagine any pregnant woman who does not have a driving licence and who has never been abroad, so she does not have a passport. She might live with her parents and not have her own paperwork. How will she feel when she is asked for ID to access care? This is only one of many problem cases that could be created ... of people who are entitled to free care, but who do not get it. Find out more about the campaign against punishing vulnerable people in the NHS. 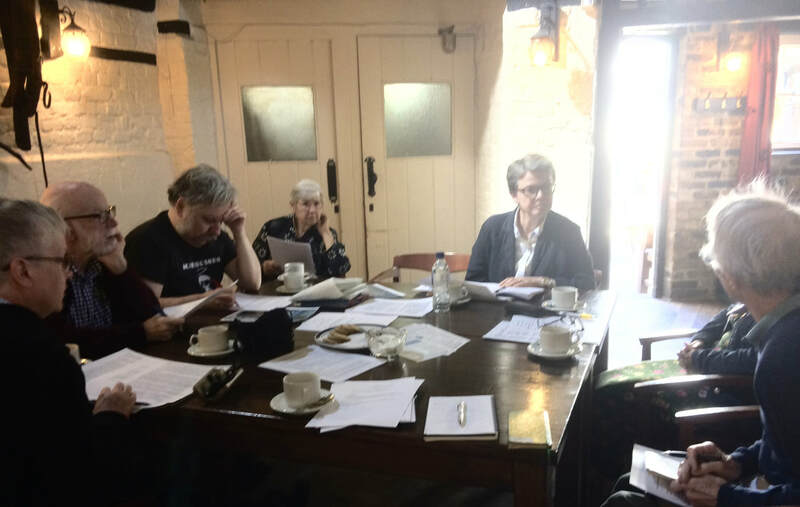 Our Organising Committee met on Sunday 26th November to discuss latest developments with local and East London wide health provision. 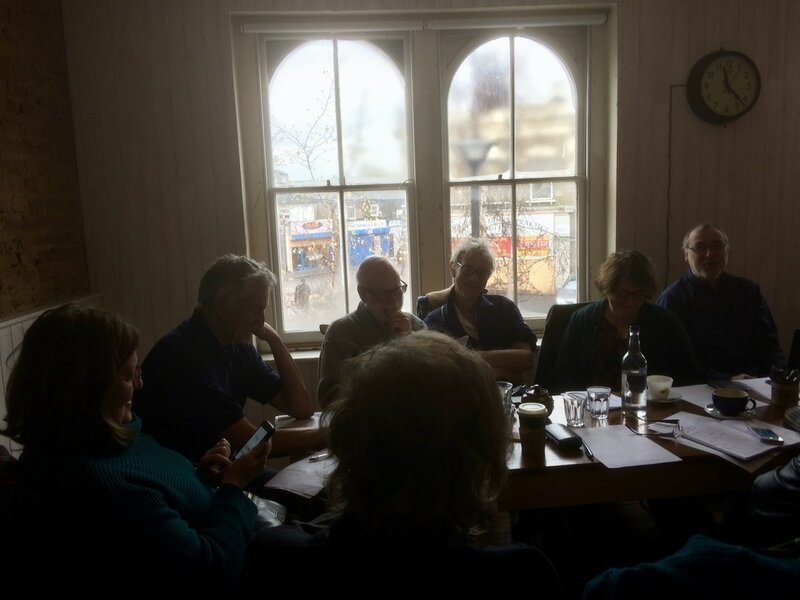 Members of the group reported back on the meetings they had attended over the past month.We discussed next steps for our group and North East London SaveOurNHS joint meetings. Ron and Francis will be attending national Keep Our NHS campaign forums to link our local campaign to the national picture. Publicising the campaign by DocsnotCops against NHS Trusts having to check patients for ID before treatment can be given. For more details check website http://www.docsnotcops.co.uk and see their poster below. Our AGM will be in February 2018. More details to follow, watch this space. Another good meeting today of our Organising Committee over coffee at the Central Park Cafe in East Ham. There was much to discuss with the changes being introduced to the NHS. Details of our meetings can be requested via our email. Members of the group continue to be actively engaged in what is happening across many aspects of local and east London wide NHS infrastructure. 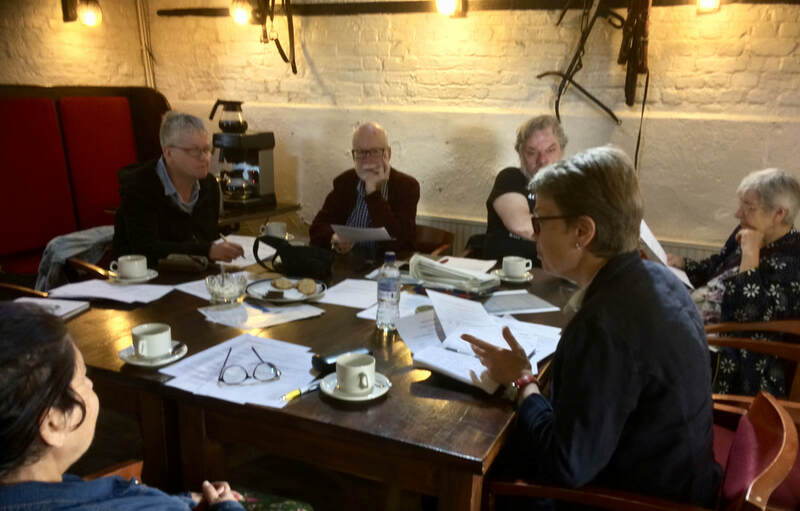 Members reported back on relevant meetings they have attended at the Newham Trades Council, lobbying the Labour Party, Healthwatch, Inner London Scrutiny and Council, the Barts Board, North East London Save Our NHS joint group meeting and Newham CCG. 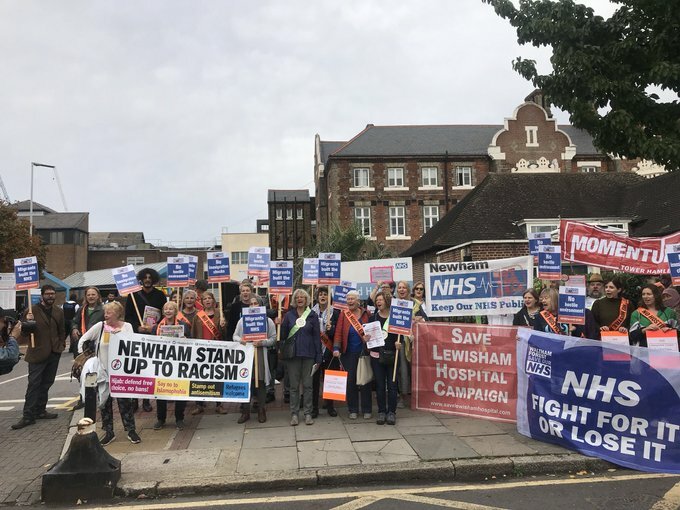 Our Group has also been busy supporting the campaign against proposed closure of St George's Hospital A&E in Redbridge, which will have enormous ramifications on Newham and neighbouring hospitals. Members supported the march on 14th October and we will be stepping our efforts to support the fledgling campaign in Redbridge. 26th October - Larry Sanders (brother of Bernie Sanders) will be speaking at the Adult Social Care Meeting at the East Ham Working Men’s Club, 2 Boleyn Rd, E6 (near Priory Road). The venue is Hammersmith Town Hall, W6 9LE - 11am – 4.30pm. The doors will be open for information stalls, coffee and registration from 10am. 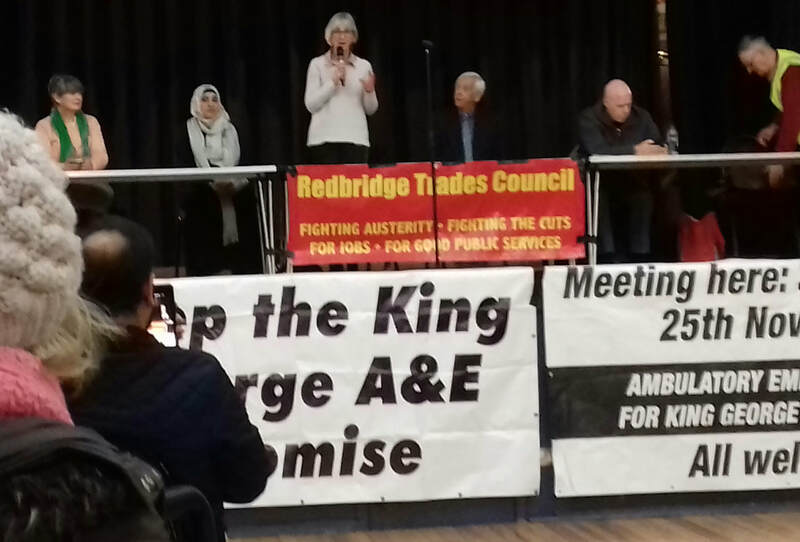 'SAVE KING GEORGE'S A & E.' Jackie Turner, a GP, chairs the rally at Redbridge Town Hall on Saturday 14th October, 2017. Two Council leaders, Cllr Athwal (Redbridge) and Cllr Rodwell ( Barking and Dagenham) join two Ilford MPs , Mike Gapes MP and Wes Streeting MP to praise the work of NHS staff and to say that King George A & E must not be closed as planned in 2019. Closure will mean local people will suffer a worse service. King George has already had its maternity service taken away and now it is planned to remove the A and E in 2019. 'SAVE KING GEORGE'S A & E' The crowd at Redbridge Town Hall for the rally on Saturday 14th October, 2017, included concerned patients, who added their voice. People came not only from Redbridge, but from Newham, Havering, Barking and Dagenham, and Waltham Forest. They were all concerned by the knock-on effect the closure of King George A & E would have in adjoining boroughs across north- East London. Patients and hard-working NHS staff will be affected. Newham Hospital and Whipps Cross Hospital will both face extra pressure and more demand if the A & E at King George closes as planned n 2019. Members of our NewhamSaveOurNHS group supported the march to oppose the closure of King George's Hospital A&E in Redbridge on Saturday 14th October. Our NewhamSaveOurNHS attended the next Clinical Commissioning Group (CCG) Meeting on Thursday 28th September at Unex Tower, 5 Station Street, Stratford E15 1DA. 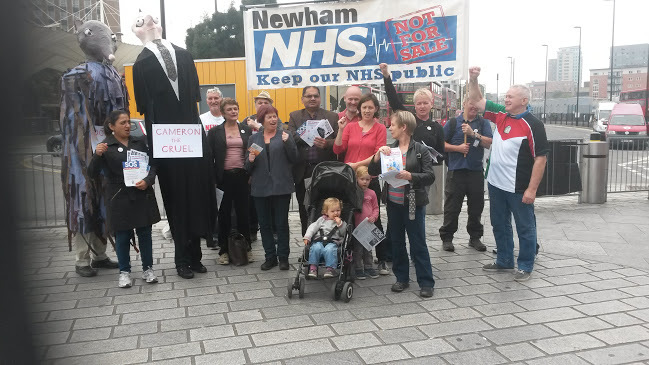 Our NewhamSaveOurNHS group met on Sunday 24th September in the lovely environment of Central Park, in East Ham. It contrasted with the grim changes going on in the NHS under the cover of the new Accountable Care Services being set up across the NHS, without consultation. We are focusing our activities around demanding consultation opportunities by attending CCG forums. 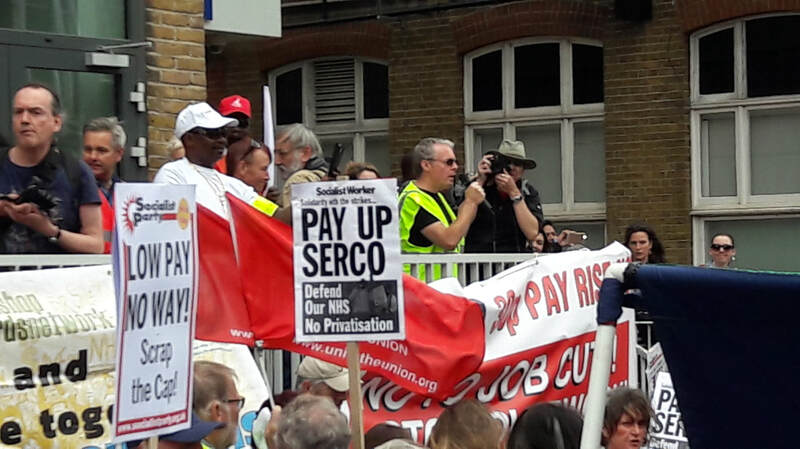 Members of our group supported the SERCO demonstration at JP Morgan in August where SERCO strikers demonstrated outside the building as shareholders met for the AGM. SERCO strikers went on to join with strikers at the Bank of England and British Airways - all fighting against low pay. 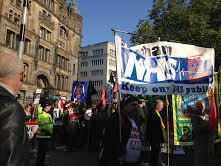 Members of our group will also be attending a lobby of Barts Health AGM at 5.30 on 13th September at Stratford Town Hall in solidarity with the SERCO strikers. All welcome to join us. Thanks to Ron and Jan for hosting our last meeting of the Organising Committee, at their lovely home on Sunday 16th July. Sadly, Coffee 7, our regular venue has closed down and we are looking into a new meeting venue. We discussed the changes to the East London Health Care Partnership (ELHCP) where it was reported that Newham Councillors will not be signing up to the Partnership and it's implications for cuts in healthcare. For more information and a copy of the minutes contact us on newsonhs@gmail.com . Members of the group agreed to continue to support the SERCO strikes that will be continuing over the next few weeks. Members of the group will be attending the joint East London campaigns and CCG meetings. Also a date for the diary is the Barts Health Trust meeting on 13th September followed by the AGM in the evening. Watch this space for more news over the Summer. 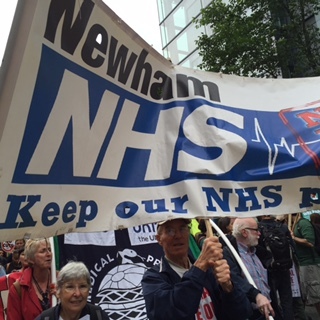 Members of Newham Save Our NHS supported the SERCO Strike on Saturday 15th July as well as the wider campaign by striking auxiliary NHS staff. Members of trade union Unite who work for public services organisation Serco and are based at hospitals within Barts Health NHS Trust are taking strike action in a dispute over pay. Cleaners, domestic staff, porters, and security staff based across four London hospitals in the Barts Health NHS Trust began 48 hours of strike action on Tuesday 4 July 2017 after 99% of Unite members who took part in the strike ballot voted in favour of strike action. The dispute revolves around a proposed pay increase. Unite members employed by Serco are seeking a £0.30 an hour wage increase. Our Chair, Ron Singer, can be seen on this video giving a speach in support of the Strike. 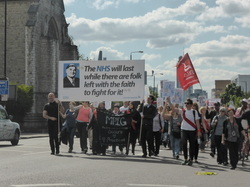 12 members of our NewhamSaveOurNHS enjoyed the vibrant People's Assembly Against Austerity march on Saturday 1st July. There were young and old, as well as many parties across the spectrum alongside plenty of old and new campaigns. Our Newham Group made its mark with Phil on the megaphone. We were thrilled that Jill was able to join us on the day. 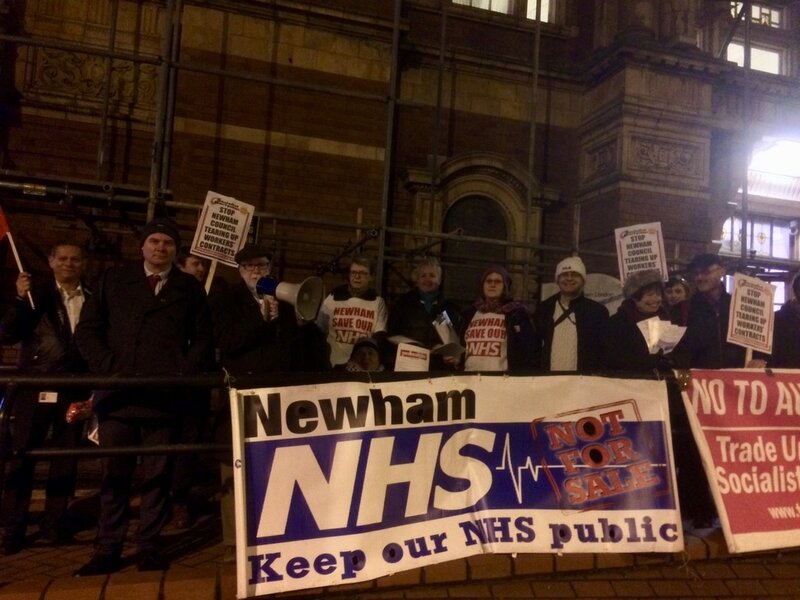 Members of NewhamSaveOurNHS showed our full support to the campaign to save the A&E at King George's Hospital in Ilford on th 18h March. With nearby A&Es already unable to cope, closing it would be a disaster. 500 people came along to show their support for the NHS services in their area. 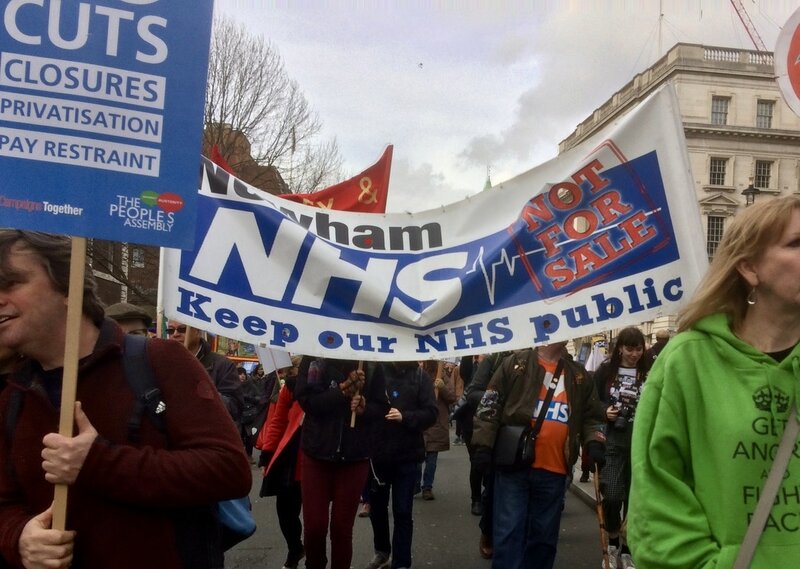 20 members of our NewhamSaveOurNHS group joined over 50,000 people marching against cuts to the NHS as part of the OurNHS national demo on Saturday 4th March. It was an excellent turn out! 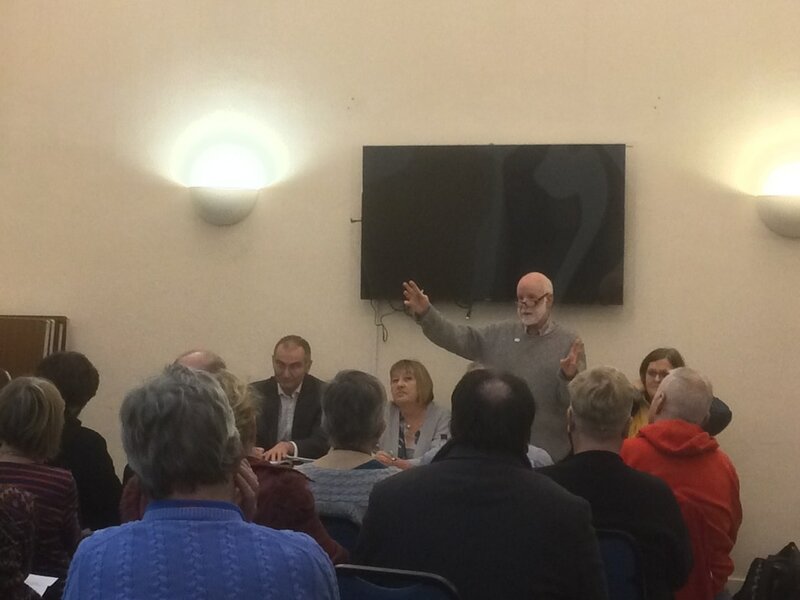 At our Public Meeting on 15th February, we heard about the proposed closure of the Acute Day Hospital in Newham. The Newham Recorder also had a front page article on the proposed closure. We had not been able to find out about public consultation on the plans. So we asked questions about it at the East London Foundation Trust (ELFT) Board meeting on the 23rd February, 2017. 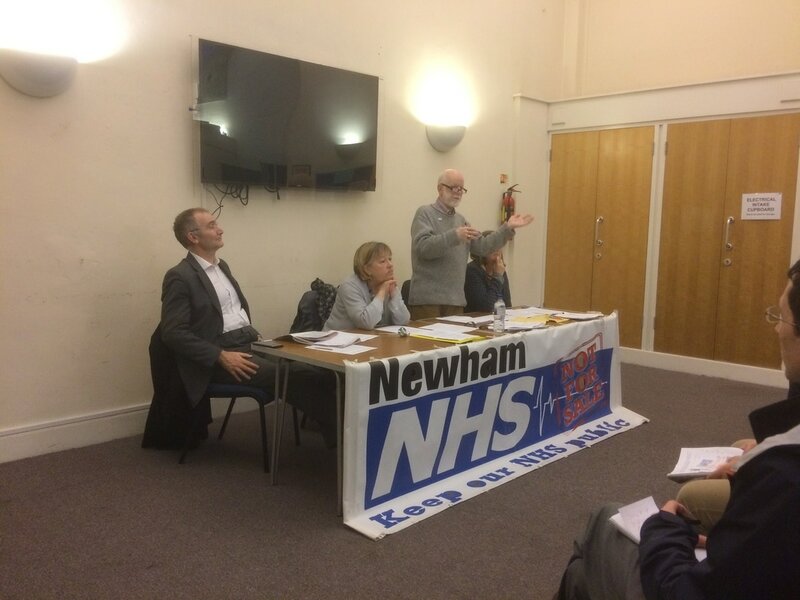 Dr Ron Singer, Chair of Newham SaveourNHS, has also asked the Newham CCG about it. Members of our Group attended the ELFT Board Meeting, whose Chief Executive commented re: Newham Day Ward and other services that - at this time of year, and it happens every year, we look at cash efficiency savings - redesign services - work differently while improving care - reduce bed occupancy - consultation might bring feedback so proposals might change - the needs of users is most important - the impact of quality and safety is monitored'. We had a very successful PUBLIC MEETING on Wednesday 15th February at St John's Church in Stratford. 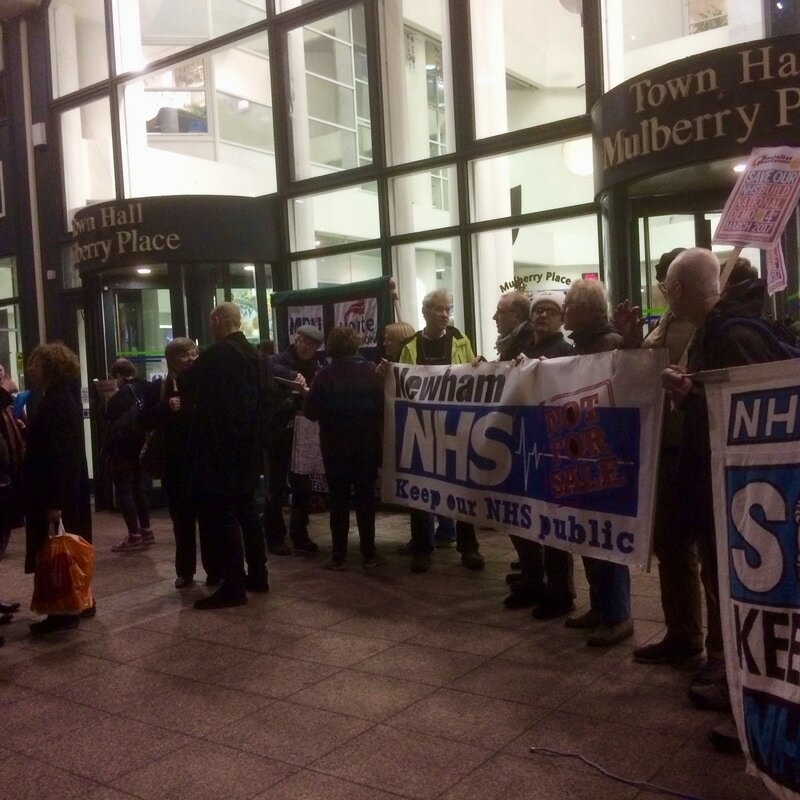 The image to the left shows members of our group supplying local councillors with information about the STPs outside the full meeting of Newham Council on 30th January. 6 members of the group were able to attend the meeting in the visitor's gallery. Below is an image of our January Organising Committee meeting at Coffee7. Our meetings take place once a month on a Sunday. See banner above for details of dates and times. 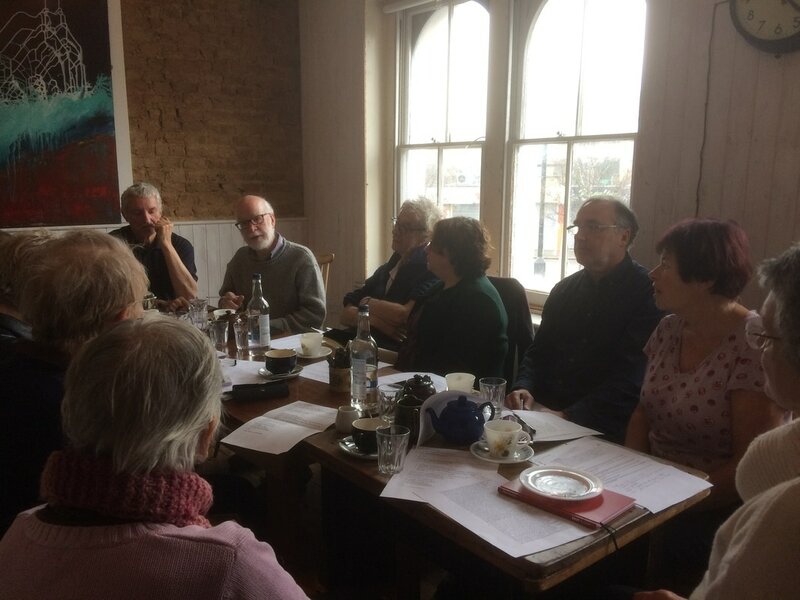 To the right is an image of the meeting of our NewhamSaveOurNHS group at Coffee 7 in December 2016. We received a number of updates about the latest situation with STP process in Newham and members reported back on their monitoring of Barts Health Board meetings and 6 North and East LondonBorough Campaigns. 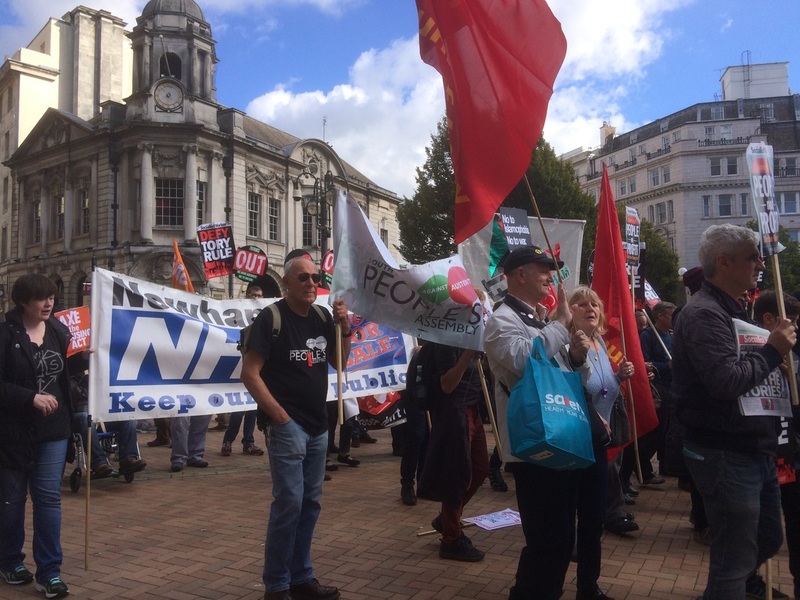 Members of our group were at the Tory Party Conference Demo in Birmingham yesterday (Sunday 2nd October) organised by UNITE and attended by 20,000 people! ​The August meeting of our Organising Group was very well attended with 14 members discussing a variety of local health issues following attendance by group members to meetings of the Barts Health Board, local CCG and Newham Scrutiny, where we have a good presence. The group will have its AGM and dates are soon to be announced. All Newham residents are welcome. 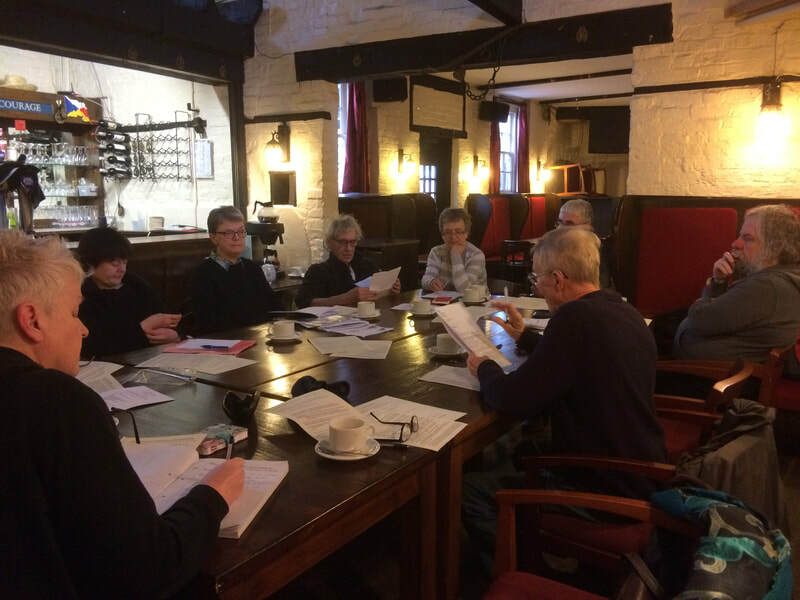 July's meeting of our Organising Committee was very well attended, and included new members. We discussed the effects on the NHS as a result of the vote to leave the European Union. Group members also reported back on the meetings they have been attending of Barts Health Group and other local health forums where we have an active presence. ​Ron has prepared a new leaflet to publicise huge cuts and damaging reorganisation due to take place at Newham Hospital to meet NHS England's plan to produce 'sustainability' directives in NHS regions (under government instruction) to meet the lack of money in our local NHS. Details of the new leaflet are as below. Slimmed-down A&Es at Newham and Whipps Cross with no emergency surgery at either hospital at night. Patients will be ‘stabilised’ and then transferred by ambulance to Royal London Hospital, Whitechapel (RLH). Barts Trust identifies (April 2016 TB53/16a) the risk of PFI because of its "impact on long-term financial stability of the Trust." How much is the Trust paying SKANSKA and other firms/consultants to prepare the site and prepare the contracts for the new Private Patient Unit? How will these costs be paid? Are they added to the PFI? Long contracts for private firms to provide Facilities Management Soft Services. Is the trust aware of the risks associated with long contracts for combined provision of FM Soft Services ? The risks are for both staff ( eg job losses) and patients ( eg poor services when there is a cut in staffing). Group members will continue to support the Doctor's Strike. See our Facebook page for more information. The Group is meeting early in April to discuss the Junior Doctor's Strike and how the Group will be supporting them. The next Junior Doctors' Strike will go ahead on this Tuesday 6th and Wednesday 7th April from 8am. Please join our support picket outside the A&E at Newham Hospital from 7.45am ON BOTH STRIKE DAYS. 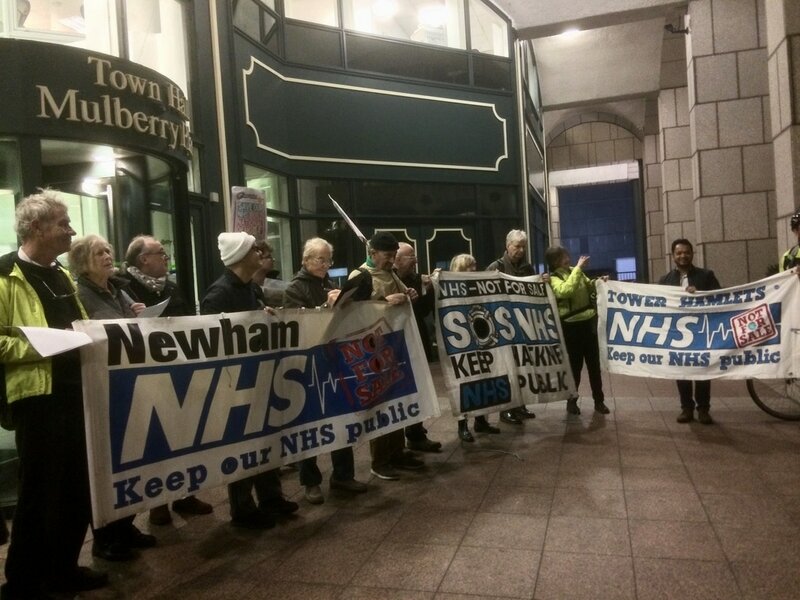 The Newham Save Our NHS organising group met on 7th February. Members of the group reported back on meetings they attended at the Newham Clinical Commissioning Group AGM, Joint East London Campaigns meetings and Keep our NHS Public amongst other relevant public meetings. The group continues to actively monitor the state of health service provision in the borough and support the Junior Doctor's and Student Nurse's strikes. The Newham Save Our NHS organising group meeting on 17th January looked back on: the Junior Doctors' strikes; the Student Nurse's dispute; problems with local GP surgeries; the admission by Barts Health that their financial functions are "broken" - currently £24.4m off track with £115.6 m deficit, and looked forward to Jan 30th Health Campaigns Together meeting and ways in which we can support the Junior Doctors' 48 hour walk-out on Jan 26/7. At our December meeting we discussed the Junior Doctors' Campaign and our fears that Jeremy Hunt and the Government is just holding off on imposing the contract on Junior Doctors until the Trade Union Bill passes (let's hope it doesn't). We also learned about how Junior Doctors are joining forces with the Nurses preparing to protest the loss of their training burseries in the Autumn Statement (at a time when the NHS is struggling to recruit enough staff!). We also learned about the new Health Together umbrella group uniting health campaigns and heard about the latest moves against the TTIP. See more information about TTIP below. ​Newham Save our NHS were present at the handing in of the national TTIP petition to No 10 Downing street on Monday 30th November. 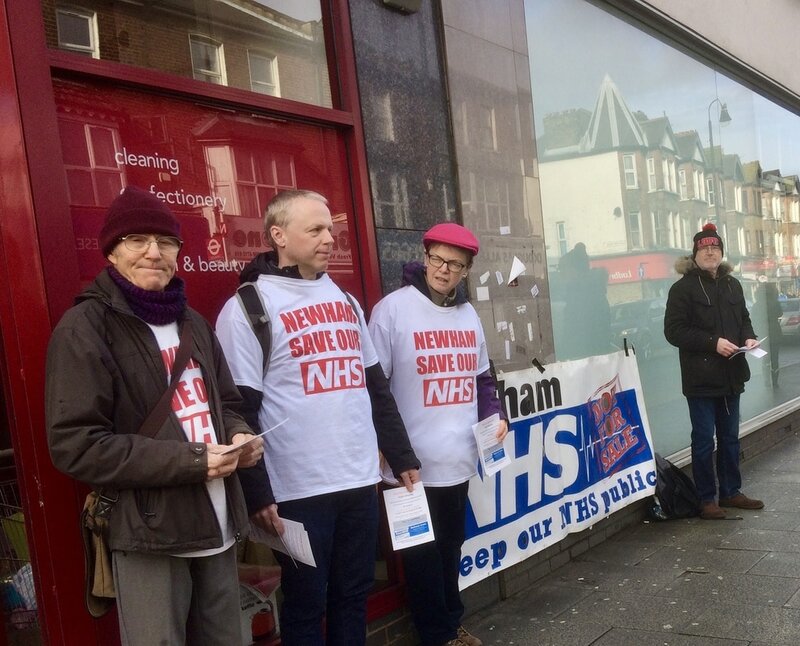 ​Members of the Newham Save NHS campaign group joined a national coalition of health cmapaigners to deliver a petition signed by 140,000 people calling on David Cameron to protect the NHS from an EU trade deal called TTIP. Anne-Marie Duff, together with doctors dressed in scrubs and activists from the People’s NHS, Save our Surgeries and Keep our NHS Public delivered the petition signed by people from across England, Scotland, Northern Ireland and Wales to 10 Downing Street. TTIP – a trade deal being negotiated between the EU and the US – could mean American multinationals or any firm with American investors could sue the UK government if it moved to take privatised health services back into public ownership. Actress Anne-Marie Duff, joined the campaign and said: "We can't afford to take risks with the NHS. It saves our lives and brings our children into the world regardless of who we are. The NHS makes us all equals. The TTIP trade deal puts that at risk because it could make privatisation irreversible. I want the government to think again and protect the NHS from TTIP." Ron Singer, our Chair, attended the handing in of the petition to Downing Street. 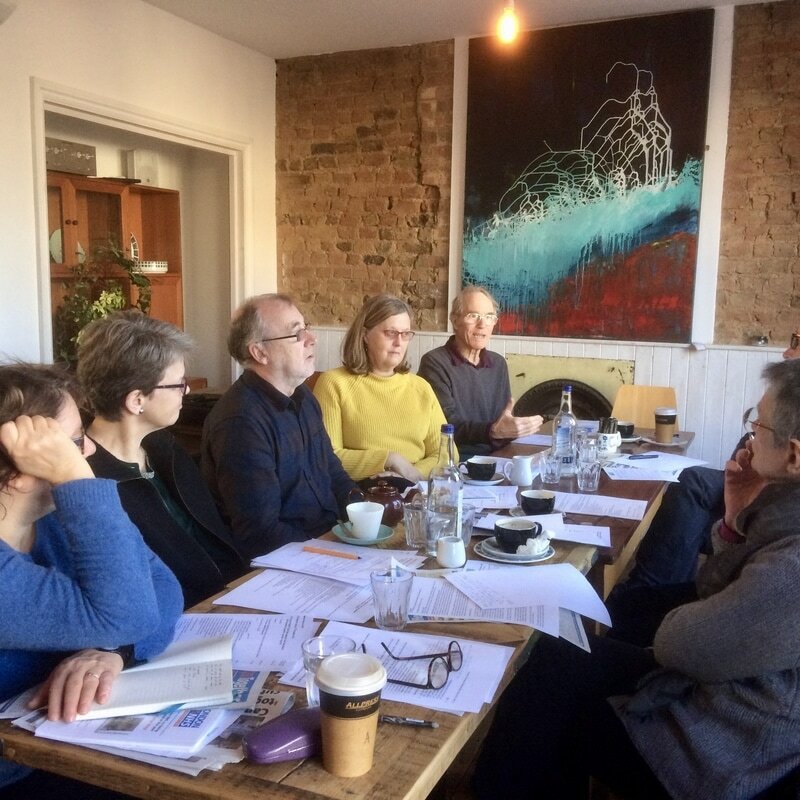 Our latest Organising Group meeting took place on Sunday 15th November at the Cafe 7, in Forest Gate. Members of the group reported back on meetings they attended at the Newham Clinical Commissioning Group AGM, Joint East London Campaigns meetings and Keep our NHS Public amongst other relevant public meetings. The group continues to actively monitor the state of health service provision in the borough. 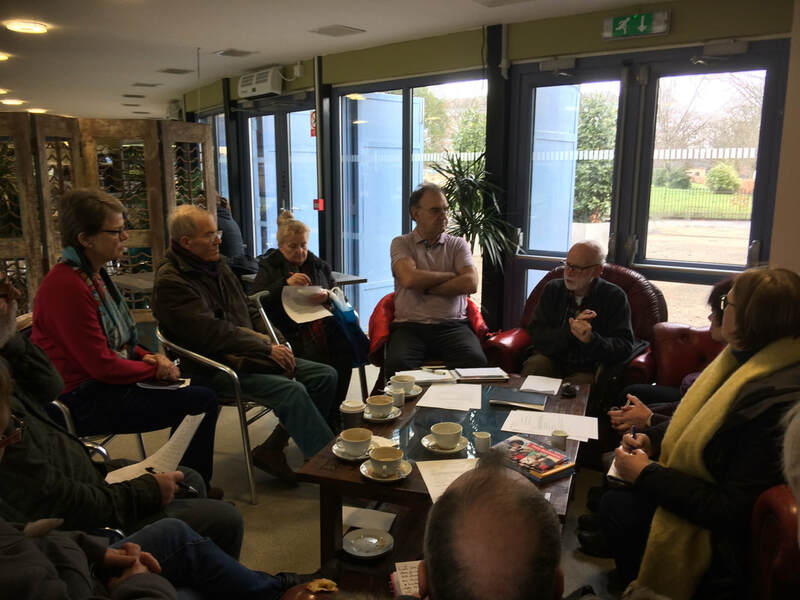 If you would like to know more about NewhamSaveOurNHS Group and what we do, please join us at our monthly meetings which take place at Coffee7 in Forest Gate. The date of the next meeting is provided above. 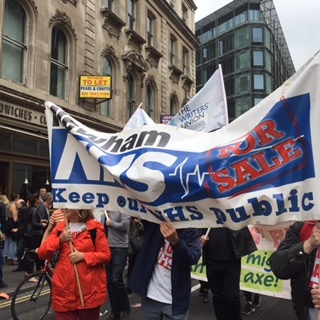 Newham SaveOurNHS group was well represented at the Manchester Anti-Austerity and Privatisation Protest at the Conservative Party Conference on 4th October. 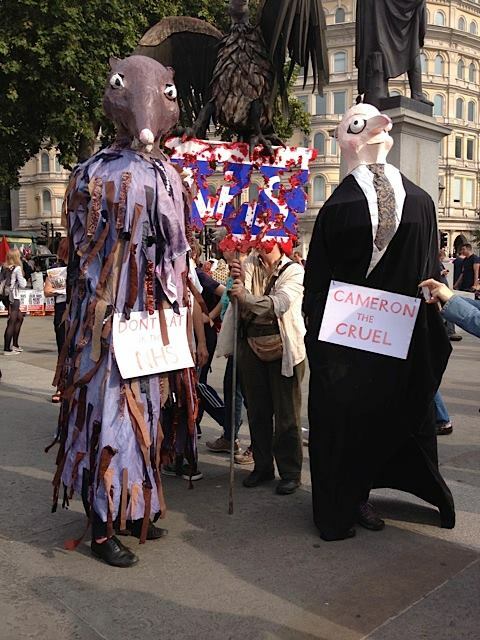 Some images of the group with our banner is shown below. 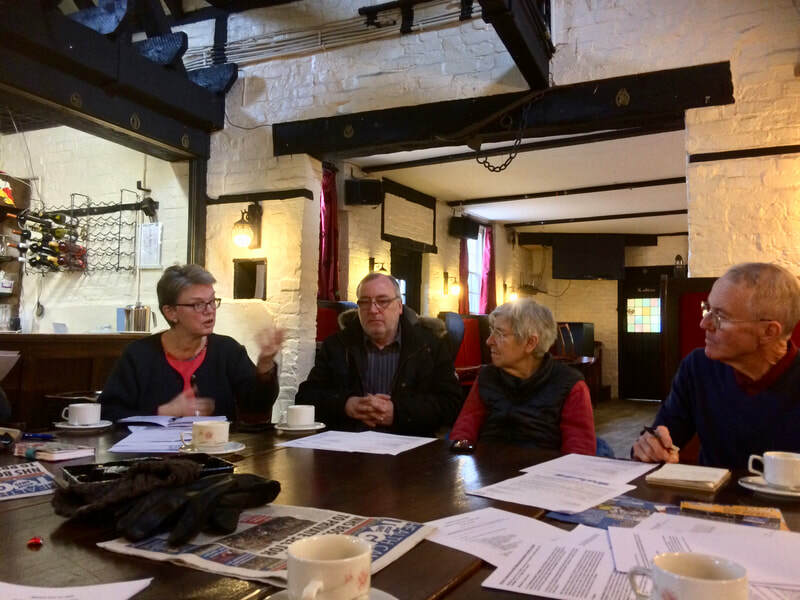 At our Organising Group meeting in August we were delighted to welcome Jos Bell (pictured left) - Chair of London's Socialist Health Association - who talked us though the mysteries of Mancs Devo as well as giving us a personal account of what's been happening with the NHS in South and West London. The hour we'd allowed for her talk and questions sped by - next time, we'll know to allow more time! 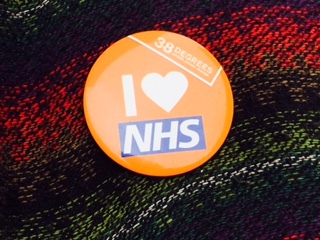 On Saturday 22nd August Newham Save our NHS members in collaboration with 38 Degrees to raise awareness of TTIP amongst the local community and gave out leaflets and information at Stratford Station. 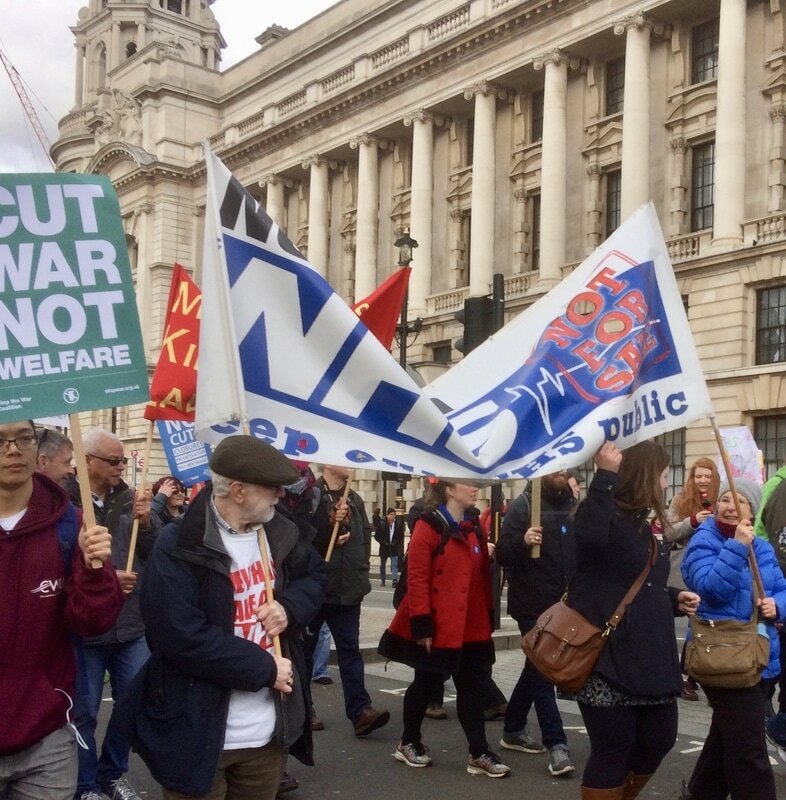 Newham Save Our NHS was well represented at the People's Assembly March Against Austerity and Privatisation in central London yesterday. London Health groups joined campaigners of all age groups representing just about every campaign that has grown up in the past 5 years. Demonstrators came from all over the country including trade unionists, environmental campaigners, church groups and individuals keen to show opposition to the government policies that have already caused a rise in child poverty statistics. Great organising meeting today 24th May at CoffeE7. Although the election result has been a real downer, it was good to take time to reflect on what we've achieved with over 3 years of consistent campaigning and a group that has not only retained a number of its founder members but built a strong core of regular attendees around them. Meanwhile, it looks like our next event will be the Anti-Austerity/ Anti-privatisation march on June 20th when our banner will be on the move again alongside our fellow health campaigns, while the next attack on NHS staff would seem to be an attempt to remove anti-social hours payments from nurses (one of their few ways of topping up what, especially in London terms, are not strong levels of pay). Apparently Unison, Unite and the RCN will be looking to ballot members soon on potential action. Central Hall Westminster on 24th April. Bring back the NHS. Watch 10 fantastic speeches from this event. 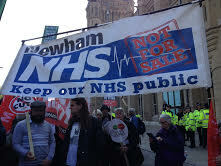 Join Newham Save Our NHS at Stratford Station at 11 to 12:30 Saturday 25th April. We will be joining the PFI protest bus at 12:30 for a tour of Newham then on to Tower Hamlets for those who can. The bus is coming from Waltham Forest so covering the three Boroughs affected by the Barts Trust PFI debt. Bart's bullying management trounced. A great victory for Charlotte and for all health workers suffering bullying for speaking out for their patients. I am really happy to be returning to work with my team and the rest of the staff at Whipps Cross Hospital, and Barts Health NHS Trust. And I look forward to being able to contribute to the work I understand is now under way, in response to the CQC report, to bring about improvement in our hospital. It's vital that Whipps Cross becomes again a hospital of choice for health staff to work in, where they can provide the best standards of health care to our local population, and find a good future. Health staff must be able to speak out for their patients and services without fear. They must be free to organise themselves in trade unions and stand as representatives knowing that their rights as a union rep will be respected, and that the role of an independent union campaigning for the interests of the staff, their patients and services is also respected. These were issues at the heart of my case. Its resolution will I hope contribute to building a climate of openness and confidence so needed in our health service. I want to thank my union UNISON for its backing and support in taking my case to tribunal, and to thank our highly committed legal team. I have been moved and inspired by the support from colleagues, from health campaigners and fellow trade unionists, and so many other people. It has held me up through some pretty difficult times and brought home that the issues I faced have far wider significance for people. Together we are standing up for what we believe in and this has made all the difference. Let’s continue to do so for the future of our NHS. Barts Trust put into special measures after adverse CQC report. The chief executive , head nurse and Chair have all resigned in the last month and the debt is £93 million. Blame the PFI not the staff! Front Page of Newham Recorder! 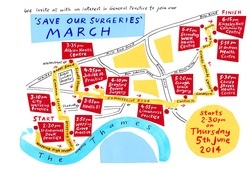 Save Our Surgeries march and rally July - promises to be bigger and louder than the June 4th event! 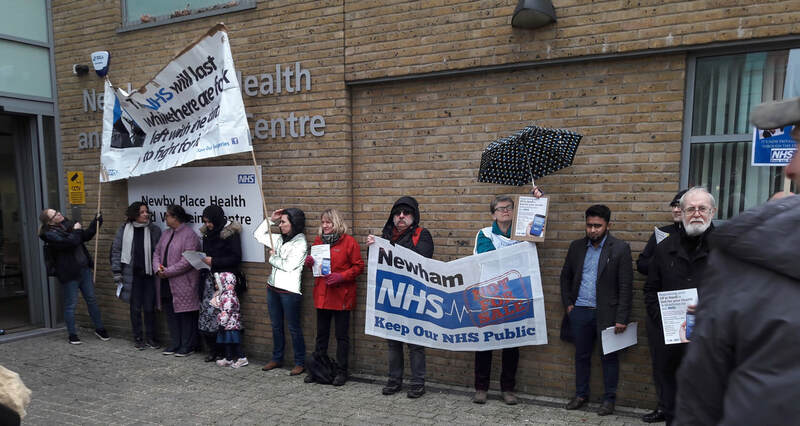 Newham practices are affected by the funding cuts to GP surgeries as are Tower Hamlets and Hackney, Yorkshire rural practices, university practices and many more up and down the country. 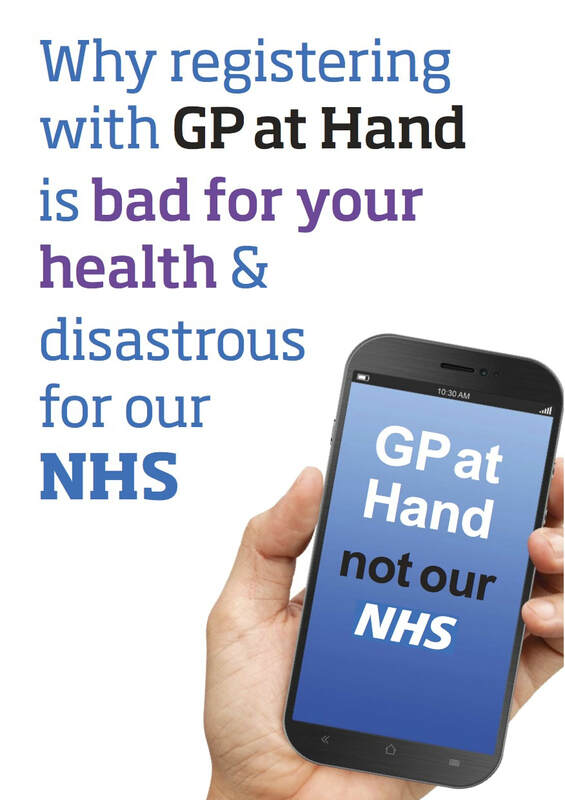 NHS England which is now responsible for G.P contracts seem to have adopted a slash and burn policy even though there is a 40% increase in patients going to their G.P. Funding to GPs is going down not up and services are at breaking point. Join us - patients staff and GPs on Sat. 5th July. The campaign bus is in Newham 12- 1:30 starting in Stratford Station so come on board! Or join the main march at Altab Ali Park Whitechapel (Aldgate East tube, 25 bus) to London Fields Lido Hackney for rally. Speakers include Dianne Abbott MP Roshonara Ali MP Proff.Allyson Pollock of London University, GPs and patients from Newham Tower Hamlets and Hackney. We will be joined by campaigners from Yorkshire and Essex. Crowd of 500+ in Altab Ali Park yesterday for Save Our Surgeries march and rally. Our speakers and supporters -Rushanara Ali MP, Dianne Abbott MP, Lutfur Rahman mayor Tower Hamlets, Maureen Baker chair of the Royal College of GPs, Allyson Pol...lock Professor of Public Health Research and Policy Queen Mary College, patients and GPs from Newham Hackney and Tower Hamlets and messages of support from public health workers striking on Thursday, Lynn Brown MP, Stephen Timms MP, Rafia Munni health advocate. More and more GPs are going public all over the country about cuts in funding for their surgeries and the danger of having to close. Jeremy Hunt are you listening!! 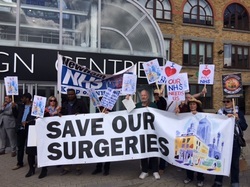 There was demonstration of Newham Save Our NHS today with the Save our Surgeries campaign, outside NHS England's Open day in Islington in protest against the withdrawal of funds from GP practices in East London including practices in Newham. 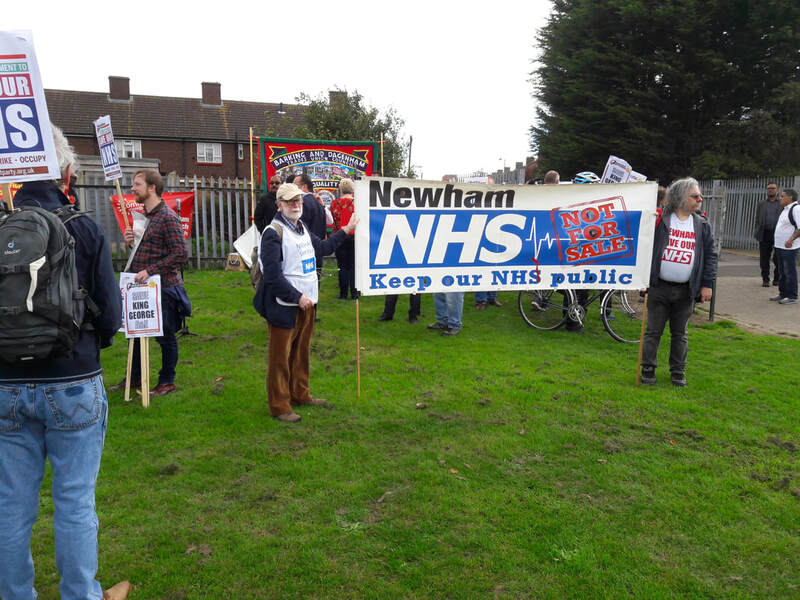 Newham Save Our NHS talking to the public about our Campaign in Forest Gate on 12th April. Brilliant march in Tower Hamlets organised by Save Our Surgeries. Great support from the community marching with us cheering from the balconies of the tower blocks and tooting from their cars . Packed meeting at Kingsley hall with terrific speakers and support from the RCGP the BMA and Unite the union. 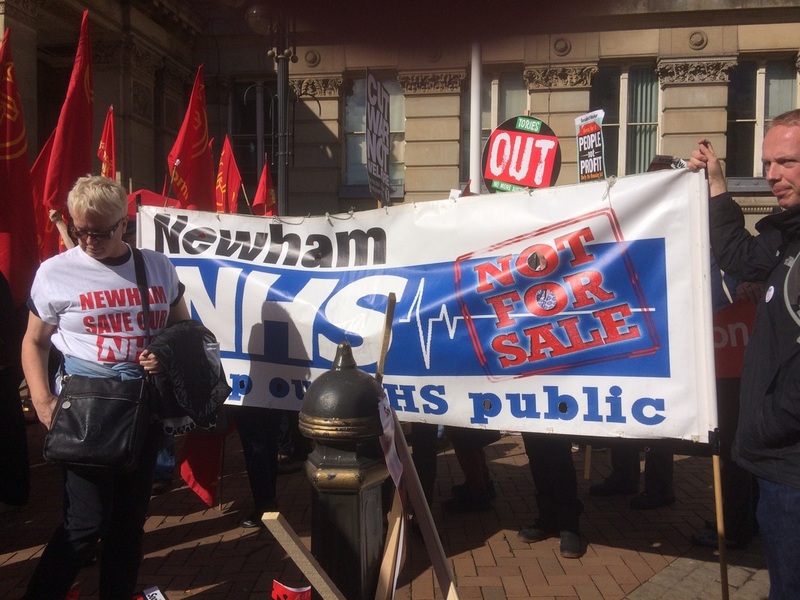 Newham practices affected by the cuts also and Newham save our NHS marched too. We fight on. Watch this space. NHS England has announced that five specialist cancer services will move from thee hospitals manage d by Bart's Health Trust to University College London Hospital Trust in Central London.? Hospital specialists and local GPs, are concerned about the impact on services across east London including Whipps Cross. 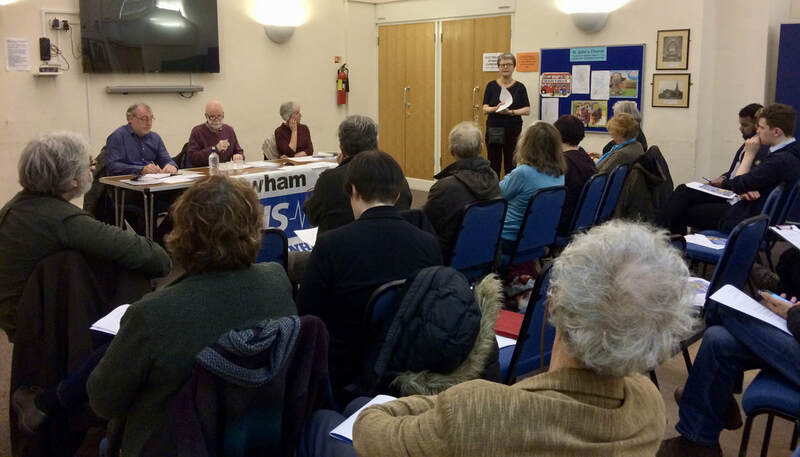 We are Waltham Forest save our NHS, along with health campaigners in Tower Hamlets and Newham, and Tower Hamlets British Medical Association held a very packed meeting on 26th February with campaigners consultants and local GPs. Jan Blake, Co-Chair, Newham Save Our NHS (on behalf of the joint campaigns)Specialist Cancer Consultant . Barts Health Trust (Newham General, Barts, Royal London, Whipps Cross, London Chest and Mile End hospitals and some community services), covers much of east London. Government policies have forced this megatrust into debt – PFI re-payments for new buildings at The Royal London (£129m a year) and budget cuts this year (£78m). Local services will disappear or worsen as vacancies are left unfilled, jobs lost and remaining staff find caring for us properly more and more difficult. The Lewisham Hospital campaign showed that ‘people power’ can force the government to stop local threats to services. Staff at Whipps Cross are already fighting back. Newham Save Our NHS links with Waltham Forest and Tower Hamlets campaigns to protect services and support staff in all parts of Barts Health. The NHS is ours; we pay for it, we use it, we must defend it or lose it. 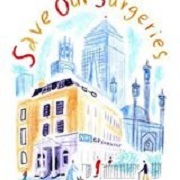 Round 2 of Save our Surgeries on 5th July, the anniversary of the founding of the NHS! We have music and a battle bus which will be visiting Newham. Newham surgeries are affected by funding cuts just as in Tower Hamlets and Hackney. At least five surgeries are very badly affected. Visit your GP surgery and find out if they are supporting the campaign and what you can do to help. Changes to funding of GP surgeries mean deep cuts to 98 GP surgeries across the UK including 5 in Newham 5 in Tower Hamlets and 12 in Hackney. Some may have to close -if not this year then in future years as the funding of general practice continues to be woefully inadequate.